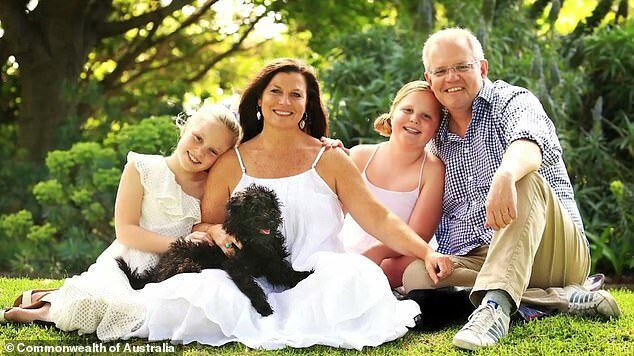 Scott Morrison is ruthlessly mocked over hilarious Photoshop fail on his official family portrait – but can you spot it? 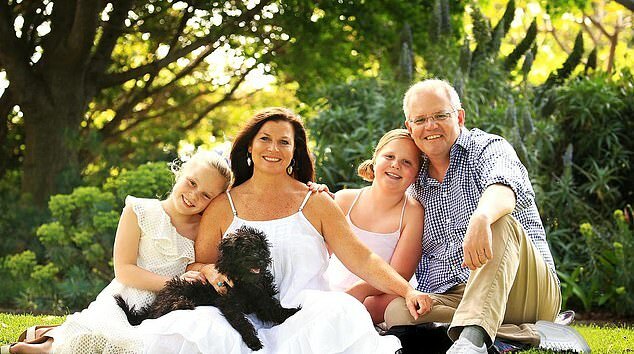 Scott Morrison has been ruthlessly mocked over a hilarious Photoshop fail on his official family portrait. 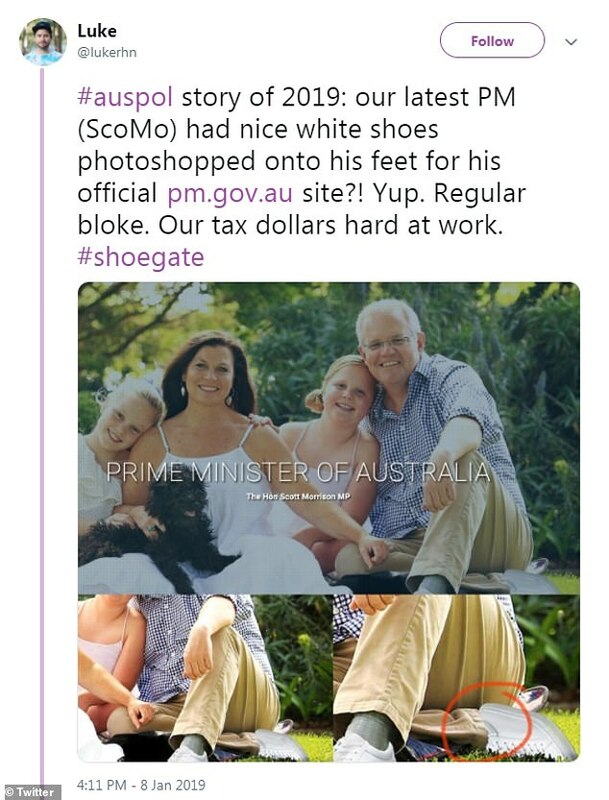 The staged photo, uploaded onto the Australian Prime Minister’s official website, quickly caused an uproar after social media users spotted the bizarre edit job. In the image, Mr Morrison is seen sitting on a picnic rug cuddled up next to his two daughters Lily and Abbey and wife Jenny. But it was one small detail that quickly stood out for viewers. ‘Story of 2019,’ one observant Twitter user wrote. 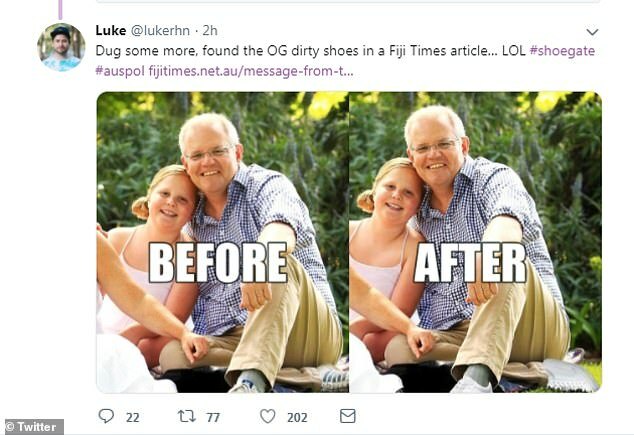 The man later added the original photo, revealing ‘the OG dirty shoes’ had not-so-subtly been edited out to be replaced with a much whiter pair. The controversy, now termed ‘shoe gate’, has led many to speculate why the shoes were edited in the first place and if a branding issue was behind the change. ‘The original shoes looked like K-Swiss tennis shoes,’ one user said. ‘I assume some t**t thought Morrison ought to be wearing dinkum Dunlop Volleys and did a really crap job of photo editing’. 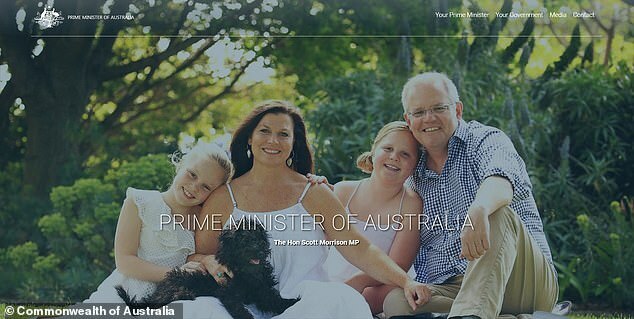 The photoshop fail also appears to give Mr Morrison two left feet, fueling the ridicule online. ‘It’s also a left shoe on his right foot. Although he may wear them that way,’ one man pointed out. ‘It would have just been simpler to crop them out if he wanted to seem more ‘’everyman’,’ another user suggested. ‘The PM likes his own shoes,’ the spokesperson added. Many wanted an answer as to who was behind the photoshop, while others mocked the lack of skill involved. ‘WHO is responsible for this,’ one woman asked. ‘It looks like it was edited using Microsoft Paint,’ one man critiqued.